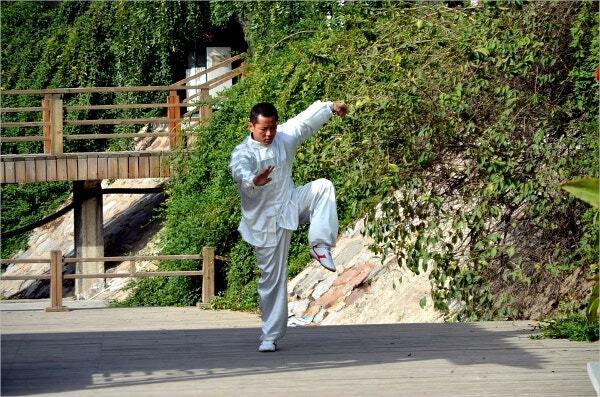 Martial arts and fitness training centers are as commercial as any other business. You require these centers to have responsive websites as well. The use of the Joomla Themes & Templates makes each WordPress theme appear attractive and responsive to the needs of the user. The interactive themes are customizable wherein you can edit and add or remove content whenever you like. The easy-to-install themes have become a rage in the fitness center circles. Easy scheduling of events and sharing the same with the members have made it a popular website theme.You may also see Responsive WordPress Themes. 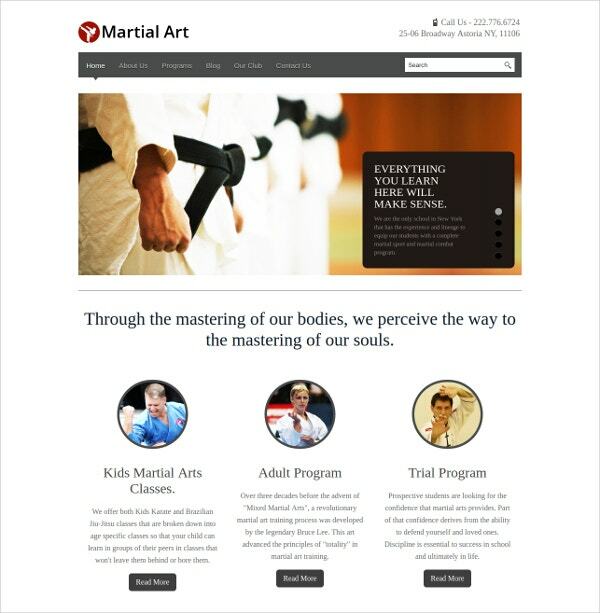 This is a perfect WordPress blog theme for the martial arts segment. The fully responsive design and the editable features make this theme popular among all. You can post your content in a variety of ways. You can use the theme in a multitude of languages as well. With more than 80 built-in shortcodes, you do not require any coding to access the site.You may also see Design WordPress Themes. The Gym Fitness WordPress theme is best for sports companies and personal trainers of martial arts, etc. The Visual Composer Page builder is a beautiful one to use. With more than twenty homepage designs, this is a perfectly responsive theme in all respects. The Drag and Drop option and the revolution slider options allow for the easy building of the website. This is a fully responsive martial arts blog theme having the benefits of the lazy load effect for faster loading of pictures. Requiring Adobe Photoshop CS+ software to work with, this theme is compatible with advanced versions of WordPress. The drop down menu, cross browser compatibility, and the accessibility to Google web fonts are additional features. 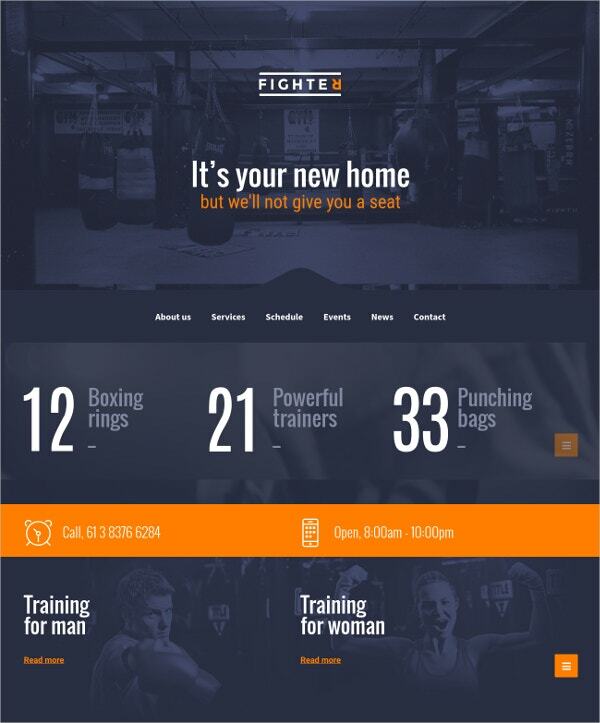 Well suited for gyms, sports and fitness clubs, this responsive theme is the flavor of the sports industry. You have features such as scheduling of classes and so on. The Visual Composer Drag and Drop options make for an excellent page builder. The WPML compatibility ensures use in a multitude of languages. WooCommerce integration makes online business transactions easy. 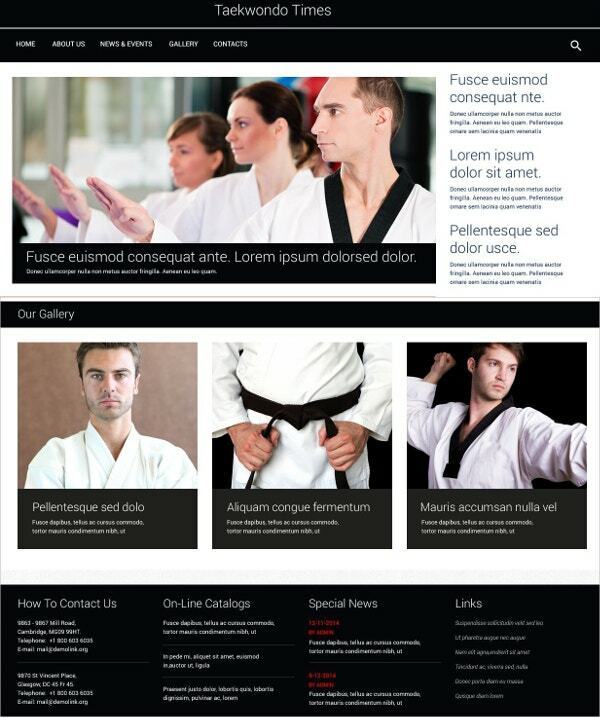 This is an extremely responsive martial arts WordPress theme with great features. The sliced PSD, back to top button, and the Cross browser compatibility qualifies it as an attractive theme. Built with Bootstrap 3.0.3 version, this theme is compatible with all WordPress versions. The HTML plus J5 animation and the slider Gallery script enable beautiful viewing of the pictures.You may also see Gallery WordPress Themes. This multi-sport fitness and gym WordPress theme is best suited for managing the fitness gym facilities. The Symetrio theme has payment integration with PayPal. This theme also allows for easy scheduling of classes and sessions. This is a fully customizable theme allowing you to change your color options at will. This is a perfect WordPress theme for sports websites. You get the advantage of high-quality templates. The availability of the PSD files and Google fonts are additional features. This is a responsive theme compatible with all browsers, thereby allowing for easy viewing on all devices. You have the accessibility to social media as well. 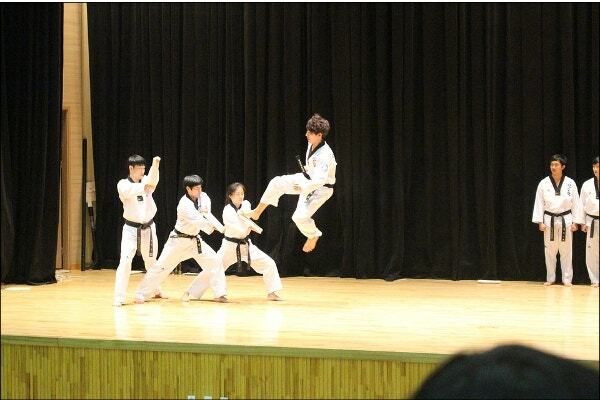 The Karate Martial Arts theme is best for the karate schools. The unique full-width slider options and eye-soothing fonts are great options for improving the attractiveness of the time. Easy to customize by changing the colors and editing the text, this is a user-friendly theme. The fully responsive theme comes with a powerful admin panel as well. 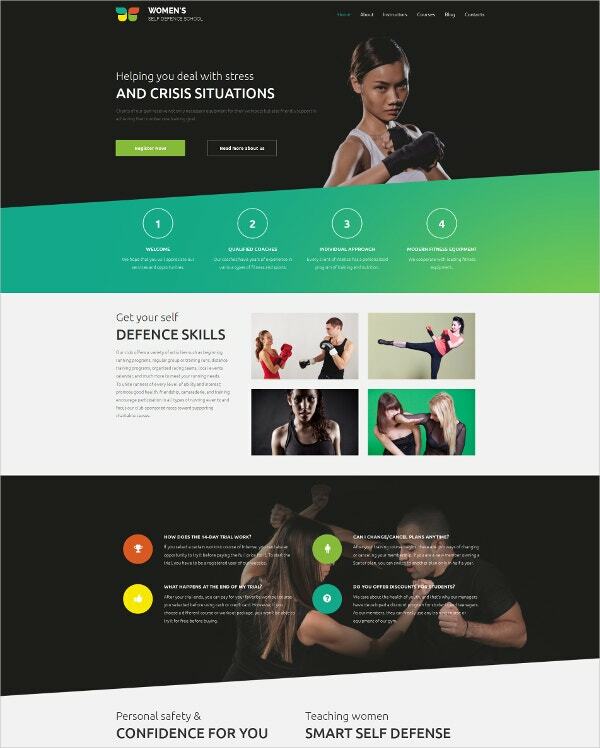 This martial art theme comes with a responsive Moto CMS template whereby you can be the owner, designer, and developer of the website. The Drag and Drop options make for building excellent web pages. The responsive theme is accessible on all compatible devices. The thrilling widgets and the exciting color options make up the attraction. 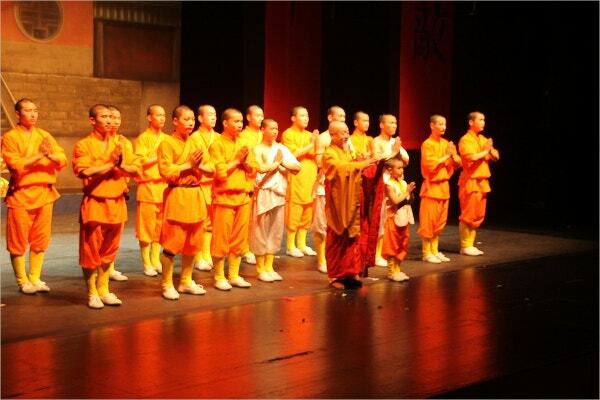 This martial arts website WordPress theme comes in many attractive colors. 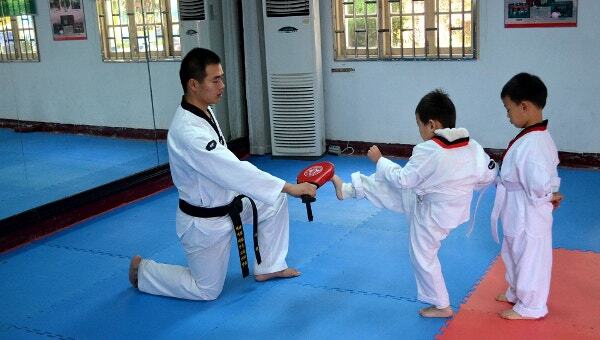 This is best suited for the martial arts and fitness gyms. The full-screen slider options and customizable content options make this theme popular in the social media network as well. This has the additional facility of using the enhanced blog layouts. 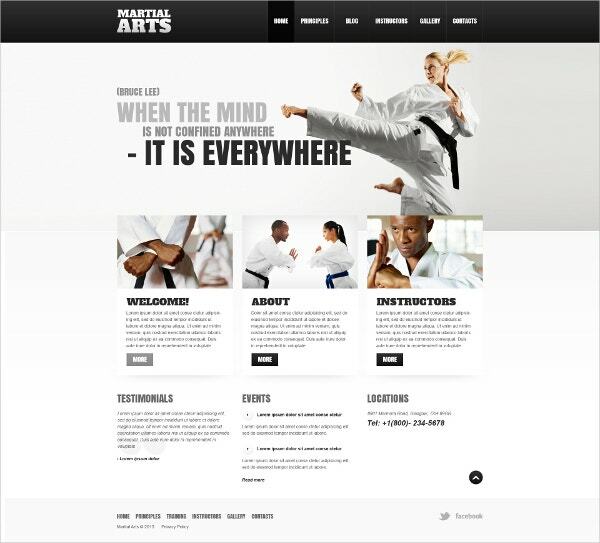 As the name suggests, this is the ultimate martial arts WordPress theme available. With a completely responsive design making viewing on all devices possible, this theme has some great additional features as well. The drop down menu, accessibility to Google fonts and maps, etc make this theme interesting. The use of the shortcut codes enables easy utility. 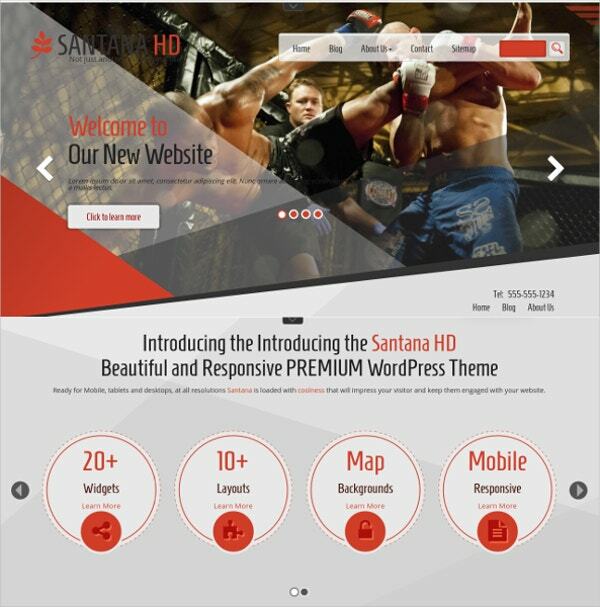 This mixed martial arts WordPress theme is a stunning one in many ways. The attractive black and red color combination of the home screen is a great first in the industry. The mobile swipe menu makes way for easy navigation. The boxed and wide layouts are some distinguishing features of this theme. With the inclusion of more than 400 icons and the parallax effect, this is a highly effective theme. 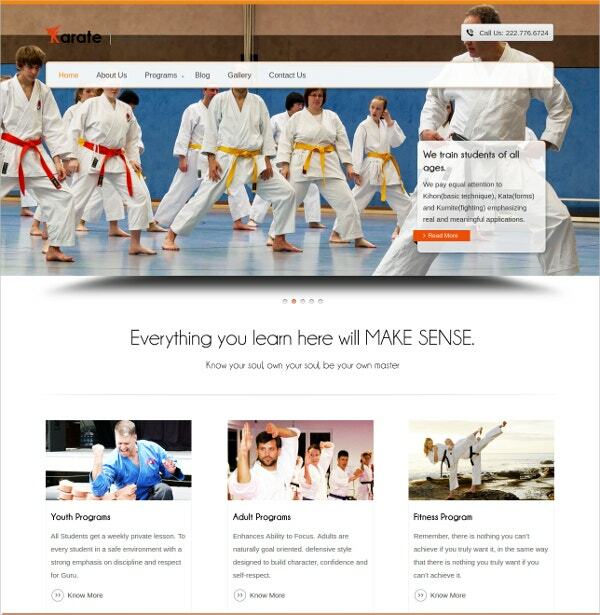 The martial art WordPress theme is best suited for the martial art schools and academies. The unique full-width slider allows a clear view of the images. The fully responsive design makes it easy for viewing on a variety of compatible devices. Easy to customize and navigate are some of the attractive features. It has a powerful admin panel as well. It is always great to be able to use the latest technology in any field. 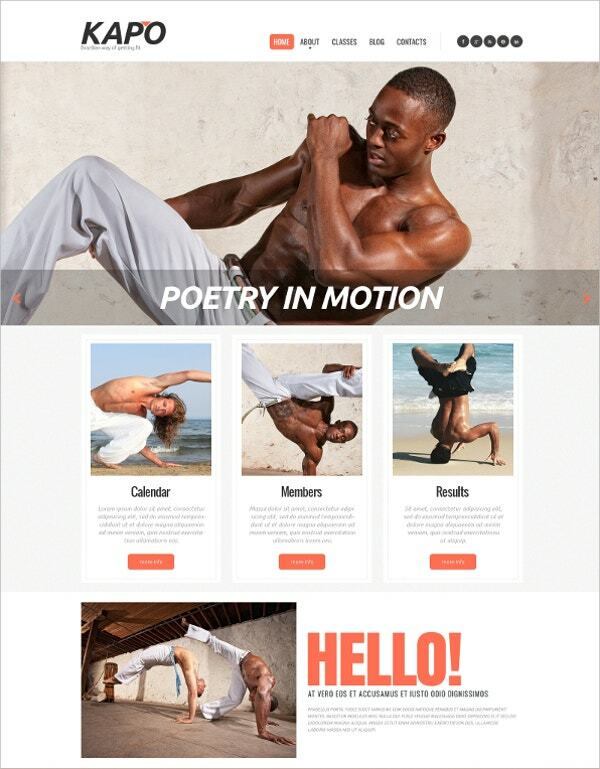 The fitness centers have some great WordPress themes for their marketing and usage. Each of the Cinema & Movie Joomla Templates has all the latest features you could expect in a WordPress theme. The responsive nature of these themes makes it even more attractive.